Whatever you decide to call them, these are now officially one of P.’s favorite lunchbox items. They’re just meat and cheese — or meat and vegetables, or cheese and vegetables — but somehow they’re just so much darned fun that they’re impossible for a kid to resist. 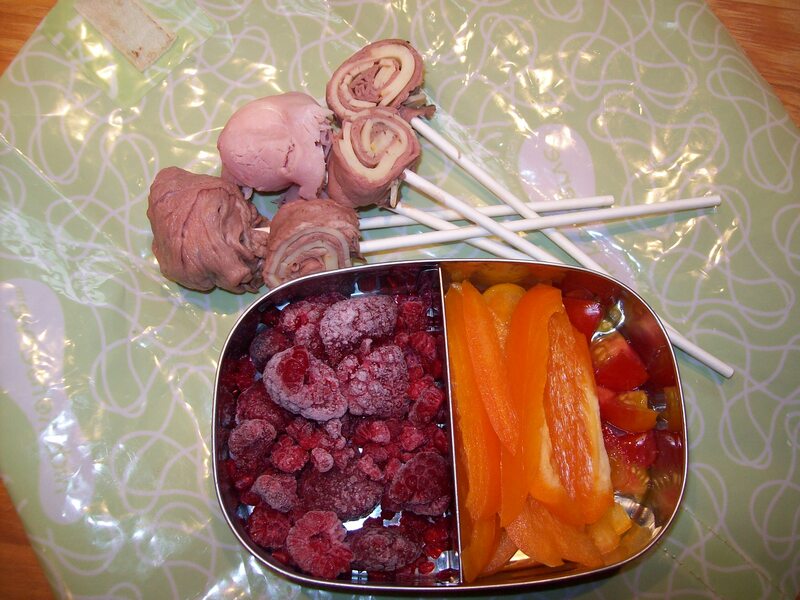 VARIATION: Instead of meat and cheese, you could sub in grape tomatoes and roasted bell peppers to make meat and veg or cheese and veg lunchipops. To make the pops,cut the slices of meat in half. Securely wrap the slices of meat around the mozzarella balls or the grape tomatoes and spear onto the ends of lollipop sticks. If you’re making the pinwheel variety, cut the cheese slices (or roasted pepper slices, if using) in half lengthwise. Layer the cheese onto the meat slices so that the meat is evenly covered by the cheese. 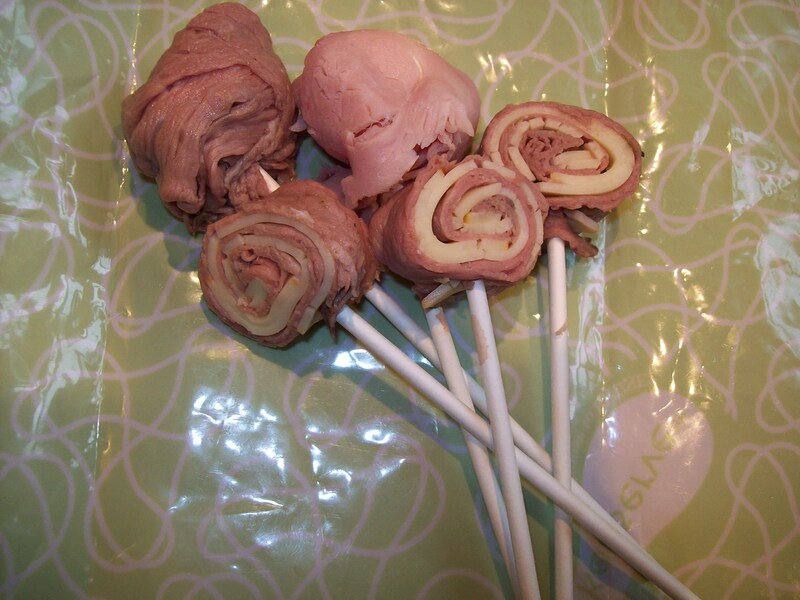 Roll tightly into logs, then slice into pinwheels just slightly less than 1/2 an inch thick. Skewer onto the ends of lollipop sticks.